Gather the family together for an educational and entertaining afternoon with STYROFOAM™. Use Project Bricks from FloraCraft to build miniature versions of iconic American landmarks, or create one of your own. 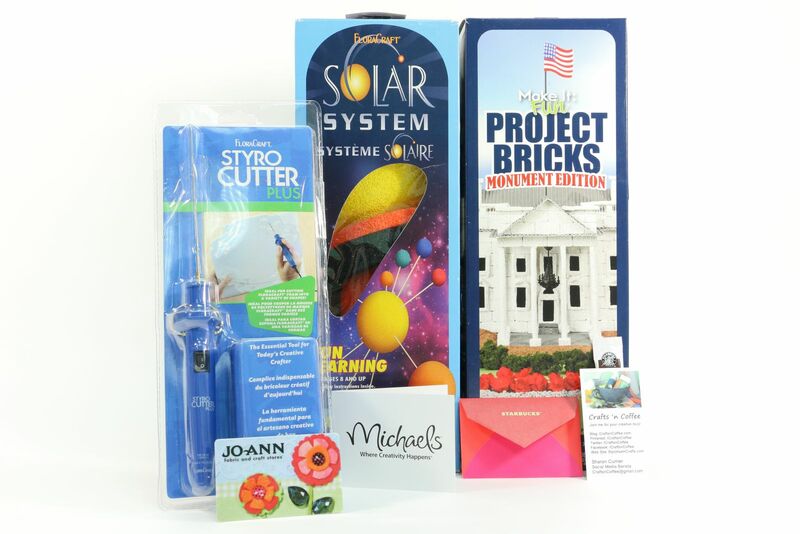 If your style is more out of this world, try the Solar System kit. These pre-painted spheres make building your own solar system a breeze–and yes, Pluto is included. For more elaborate projects, you’ll need the Styro Cutter Plus, a heated wire that cuts up to 4″ thick STYROFOAM™ and heats in under 30 seconds. To sweeten the deal, DOW Chemical has thrown in gift cards to Jo-Ann Fabric & Craft, Michaels, and Starbucks. With the goodies in this prize, you’ll stay caffeinated enough to craft through the night!